Just in time for Valentine’s Day, mobile banking startup Varo Money, Inc. has released their “Love Is in the Air” study. The study of more than 1,000 U.S. adults age 18+, conducted by Propeller Insights on behalf of Varo Money in December of 2017, determined that romance is a much higher priority for millennials than other American adults this year. Romance is significantly more of a priority for millennials than other U.S. adults: only 45 percent of Gen Xers and Baby Boomers are looking to settle down romantically this year; only 11 percent said “finding love” was on their list of resolutions; and only 19 percent are planning a proposal. Of course, a higher percentage of Gen Xers and Boomers are already married (49 percent), and less than 2 percent are looking to jump ship. 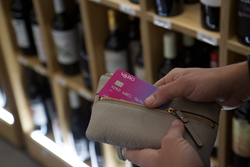 Varo is using mobile technology to change the future of banking by offering customers a frictionless bank account on their phone that aims to help them get ahead financially. These personalized financial solutions integrate banking, saving and lending products with tools to help customers smooth cash flow and build savings—all from their phones. Varo Money, Inc. (“Varo”), is changing the future of banking with their mobile app: a frictionless bank account offered through The Bancorp Bank that also helps customers do more with their money. Varo is building a mobile banking experience that helps customers cover their expenses, pay their bills and build their wealth over time — so they can stop worrying about money and go live their lives. Unlike traditional banks or other fintech apps, Varo offers a complete solution with integrated deposit, budgeting, savings and lending products that aim to help customers bank with ease and achieve better financial outcomes. There’s no reason for a bank branch on every corner anymore: all that customers need is an iPhone to bank seamlessly. Based in San Francisco and privately held, Varo has raised $78M to date, led by Warburg Pincus. Varo Bank Accounts are provided by The Bancorp Bank, and deposits are FDIC-insured up to $250,000 through The Bancorp Bank. Varo Personal Loan and Varo Backup Line are offered by Varo Money, Inc. under state licenses, subject to application approval. For more information, please visit http://www.varomoney.com and follow Varo on Facebook @varomoney and Twitter @varomoney.